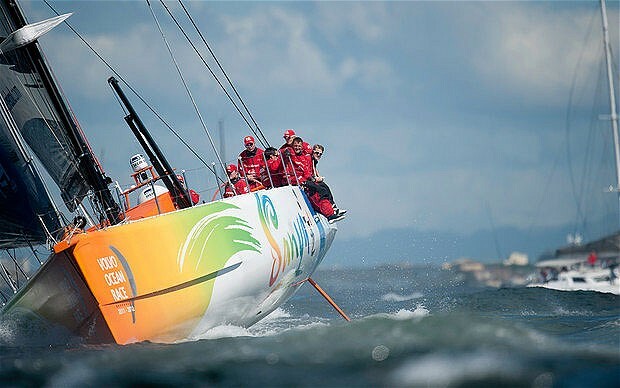 The first ever sole Chinese entry in the Volvo Ocean Race, who currently languish in sixth place, suspended racing in the second leg from Cape Town to Abu Dhabi when a key part of their mast’s rigging failed while the boat was leading the fleet. However, the boat’s new rigging – replaced during their enforced stopover in Madagascar over Christmas – has passed testing and the crew, who have endured several sleepless nights this week, are looking forward to encountering trade winds after being chased by a tropical storm. Cameron Dunn, Sanya’s watch leader, said: "We’re out of the danger zone, we had to reef our main and sail cautiously overnight, but the upshot of that is that we couldn’t be more confident in our new rig. Team Sanya are expected to reach the secret safe haven port around Jan 19 before re-joining the rest of the fleet for the second stage of leg three to their home port in Sanya, China. On Dec 20, for the second time in two legs, Kiwi skipper Mike Sanderson was forced to retire from racing after a tactical gamble on Team Sanya went badly wrong. Taking an easterly path from Cape Town to Abu Dhabi in a bid to gain a few extra miles, a crew member noticed a tension wire attached to the mast had broken loose, meaning the rigging was at risk of crashing down. Team Sanya had earlier retired from the first leg from Alicante to Cape Town, just two days after the start, when the boat crashed into a submerged object causing damage and delamination to the bow. Meanwhile, the in-port race in Abu Dhabi will take place this weekend before the third leg proper begins. A short sprint will ensue before the fleet is loaded on to an armed ship and taken to the safe haven port where racing will resume.